Well, this was not meant to be another week break. It’s been a some vicious month, hasn’t it? Anyway It’s not like there aren’t a million other blogs supplying good music though so I don’t exactly feel bad about neglecting uploads for a while. Sincerely all my best wishes go out to anyone caught up in any beautiful chaos similar to mine . The main issue explaining this is that I’m currently on plans to live in a hill house. Let me tell you, to those who haven’t been to live to a farm before, it is great, really great. So sorry about the lack of posting, I’ve been working nearly all day lately and planning my move from my new home to the middle of Salta, my office’s town. What I can report is that by now I don’t wish to resist the awesomeness of moving to a new home on where my childrens will grow surrounding by nature enjoying the sun-fresh air too much, so this feels like a short break, anyway I’ll to try and keep it at least chugging along at a nice easy pace. So, getting back to normal for a while, here’s something that I’ve bought a couple weeks ago, maybe the best present I bought this year . LP to be release on next week in an edition of 200, although some of which are available from Cardinal Fuzz . Well, Nate Ryan , Colin Ryan , Oakley Munson and Ryan Rapsys join together to put a new spin on their race. After an incredible lathe cut called At Deaths Door , they finally throw down a full album of what were once simple road songs, now pulled apart from their roots bands and tossed into the basement to be jammed into something completely new and unstoppable. Heady rolling guitar licks, fuzzy synth wails and snapping drums drift in and out of each other, locking in perfectly only to split back into the mumbling open, now together as The Shine Brothers. This is the first song written for The Shine Brothers, maybe in 2008? It is one of a 5 track mind blowing EP that we never got around to releasing. 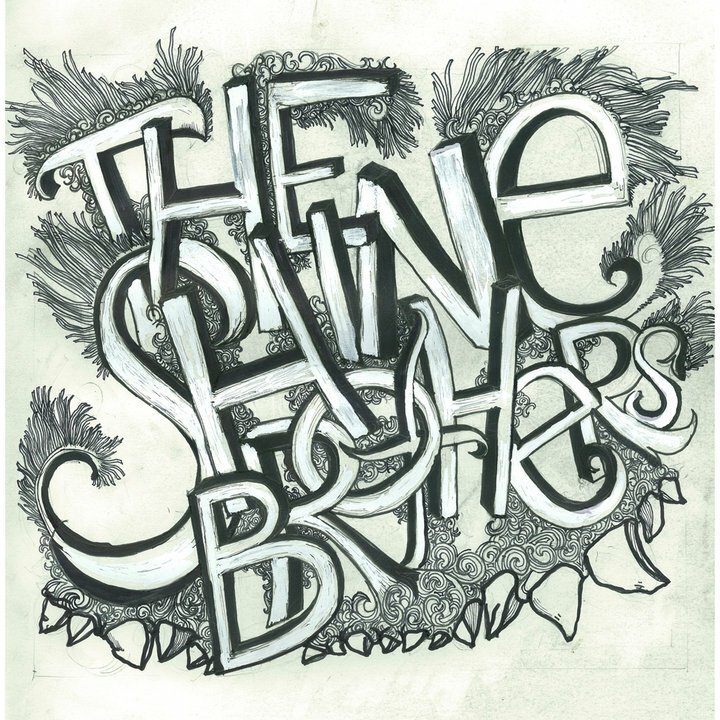 The Shine Brothers – Hello Griefbirds! Red Vinyl Ltd to 200 Copies. 150 for Direct Sales. Hello Griefbirds comes in a reverse board sleeve with insert and download. Cardinal Fuzz are proud to present The Shine Brothers debut album Hello Griefbirds! If The Everly Brothers were invited to The Birthday Party, The Shine Brothers – a liberal dose of melodic mayhem – would be the party favour. Waving the ‘psych-my-delic’ banner, The Shine Brothers epitomise the seedier side of music with a mind melting collection of garage psych. But look out as The Shine Brothers achieve an alchemic balance of slanted sunshine pop song structures with howling devilish rhythms, crowned by dirty, weaving vocal harmonies with tracks veering from Beatles like sunshine pop to frenzied fuzz induced E.P.I. 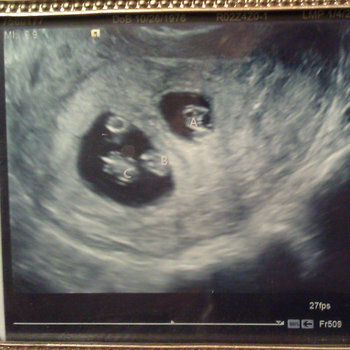 freakouts. 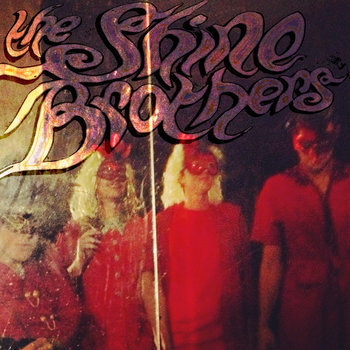 The Shine Brothers’ ensemble includes Nate Ryan (ex The Black Angels), Colin Ryan (ex Woven Bones), Oakley Munson (ex The Rondelles), and Ryan Rapsys (ex Too Many Bands To Name). LP comes with a download code that also features 3 bonus tracks.